Reward cards are a good choice if you pay your balance every month and give you the opportunity to get a little something for nothing. Several years ago, credit card companies started aggressively using reward programs to compete to be the card that consumers pull out of their wallets. Rewards have grown beyond airline miles and cash backs. Issuers now offer high-end rewards, such as exclusive access to movie premiere events and luxury resorts and create-your-own rewards. 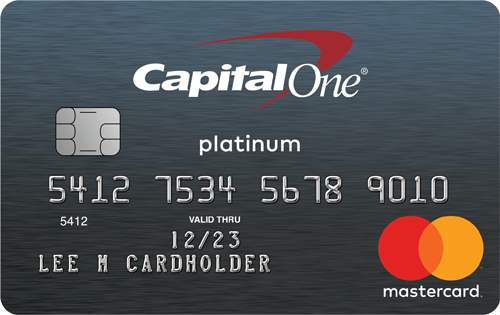 Capital One recently introduced an online service that lets consumers create their own card by choosing from a menu of terms, including repayment rates, cash-back options and other features. When choosing a reward card, look first at your annual credit card usage. If you charge less than $5,000 a year, your best option is a general reward card, such as Blue from American Express. You can select rewards on lower levels like gift cards to restaurants and retail stores that you frequent or that may be useful to you. You can earn these gift cards during the first year. If you have an airline reward card and charge $5,000 or less each year, you may need five years to earn a free ticket (most cards offer a free, domestic airline ticket for 25,000 points). If your usage is more than $50,000 per year, look for a card with unlimited rewards. Some cards cap rewards at $50,000. If your reward card has a cap, you may want to secure a second reward card. Finding the best reward card can be difficult because the offers are often hard to compare. For comparison, assume that the average reward percentage is 1%. Plug your credit usage into the reward formula to determine if that card offers you more or less than 1%. If the card offers you more than 1.5% of what you spend, it may be a good deal for you. Hotel reward cards have the most generous point distribution for everyday purchases, general purchases, and bonus points. Some hotel cards, like Choice Privileges Visa and Starwood American Express, let you redeem points for airline tickets or retailer gift cards. If you carry a balance, the only thing you need to consider is finding the lowest interest rate that you can. The lower your rate, the faster you pay off your balance and the faster you eliminate your credit card debt. The lowest advertised rates are for consumers with the highest credit scores (FICO of 720 or above). If you have less than great credit, review the card issuer’s terms and conditions for rates that may apply to you. Credit cards and pre-approved credit card offers are everywhere, but approval may be difficult for first-time applicants. Apply for a card with realistic expectations—new applicants with a limited credit history rarely receive the lowest rates. If you do not have a credit history, apply for a lower rate card to see if you receive an offer. If you get a credit card, keep it even if the rate is high. Pay off the balance each month, and then call the issuer in six to 12 months to ask for a lower rate. If you do not receive a credit card, do not apply for others hoping that one of the issuers will give you a chance. Multiple applications over a short period have a negative effect on your credit report. Lenders and credit card issuers look closely at credit reports to determine if the applicant is responsible with current debt. Unfortunately for households without some type of debt, most consumer payments such as rent, student loans, insurance, and utilities are not reported to credit bureaus unless a problem exists. Good payment history for a credit card, auto loan, or mortgage helps build your credit score. Since credit reports influence the direction of credit, examine your credit report for your score and to make sure that all of your information is correct before applying for a card. 901–990 Grade A/Excellent rating Should have an easy time getting loans with the best rates. 801–900 Grade B/Good rating Should also have an easy time getting loans with good rates. 701–800 Grade C/Moderate risk Lender will take a closer look at the credit report and history. 601–700 Grade D/Higher risk Likely to receive higher rates. 501–600 Grade F/Highest risk Credit options will be limited or not available. Don’t just apply for the first card you see. Study each card’s terms and conditions and find the APR tiers. Depending on which type of credit score you have access to, Vantage Score or FICO, you can find the proper table and reasonably guess the tier you fall into and the rate you will receive, which gives you a place to start for comparing rates. If your application is not approved, the issuer is required to explain why. If it is a result of your credit report, the issuer must tell you how to get a copy of the report from the company that provided it. The report is free if requested within 60 days of receiving the notice that your application was denied. You may also pursue the following options when applying for a credit card for the first time. Ask your bank or credit union about available credit cards. If you have a checking account, then you already have a history with your bank and it may be more likely to offer you a credit card. Apply for a department store card or oil company card. These are easier to get than a Visa or MasterCard. Many times, applications are processed instantly. Keep in mind the interest rates for these are higher, so pay off the balance each month. Apply for a secured card. Secured cards are easier to get because there is no risk to the issuer. An upfront security deposit for the secured card determines the credit limit. The secured card requires that you are a United States resident with a valid social security number and a home telephone. 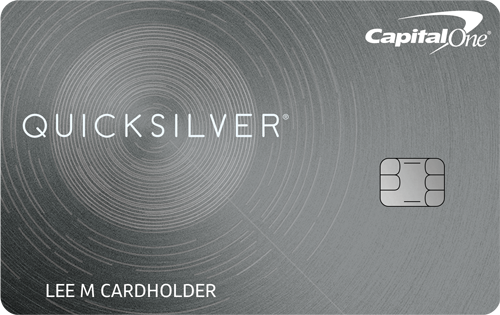 Look for a secured card that offers an upgrade to an unsecured card after a history of on-time payments. Before applying for a department store card or a secured card, verify that the issuer reports payment activity to the credit bureau. These cards will not help you build your credit score if they do not report to the credit bureaus. If you use a department store or secured card correctly, you can build a good payment history in six to twelve months. Responsible usage also increases your odds of qualifying for a major credit card. Apply for a credit card while you are in college. While this recommendation may seem illogical, the best time to get the first credit card is during college. Credit card companies want to establish early loyalty so they target students. This is a good risk because they realize that parents will usually bail their children out of any debt problems. However, get a card while in college only if you use the card responsibly and pay it off each month. Secured cards are for those who have no credit or a bad credit history and can’t get a traditional credit card. This card may also be an option for those who have a completed bankruptcy. Consider a secured card as a short-term band-aid to repair your credit. If used correctly, a good payment history with the secured card should improve your credit score enough to allow you to qualify for a standard card in 12 months to two years. 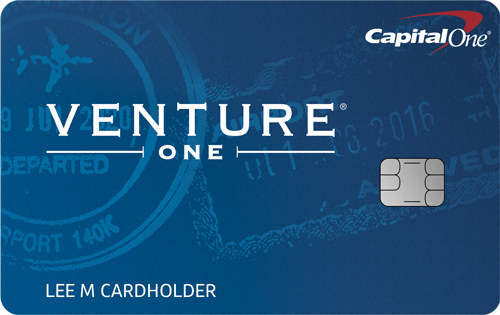 The secured card looks like a traditional credit card—a merchant will not know it is a secured card. The difference between the secured and unsecured card is the higher rate and fees for the secured card. The deposit for a secured card determines the credit limit. If your deposit is $300, you will receive a Visa or MasterCard with a credit limit up to $300. The security deposit is not used to pay for charges but to cover the balance if the account is closed. The deposit is held until the account is closed. You must make the monthly payments on the card or the bank will turn the account over to collections, further damaging your credit score. The bank is willing to offer this form of credit because it receives a security deposit and keeps it as long as the card remains open. The bank is safe because it does not lose any money, as it just keeps the deposit if the bill is not paid. A secured card has fewer requirements than an unsecured card. You must have a telephone in your home, reside in the U.S., and have a valid social security number. While many applications are accepted, you are not guaranteed to receive a card. Unpaid tax liens or undischarged bankruptcies may prevent you from getting the card. Some issuers will not offer you a card if you have declared bankruptcy in the past. Paying your bill on time will typically result in you being upgraded to an unsecured card in about 18 months. Some cards may also increase the credit limit to more than the amount of your deposit. After 12 months of good payment history, contact the issuer about converting your secured card to an unsecured card with a lower rate and a deposit refund. After two years of good payment history, you should qualify for traditional credit cards. From time to time, your available credit may also be limited if you give your account number or card to a merchant that processes advance authorizations, such as a hotel, motel or car rental office. Such authorizations may limit your ability to make purchases and take cash advances on your account until the merchant cancels the authorization and the issuer releases the available credit. Make sure that the issuer of the secured card you are applying for reports to the credit bureaus. This is necessary to rebuilding your credit history. If the issuer doesn’t report your history, a good payment record will not affect your credit score. Some cards require an additional fee for this. Save yourself some money and choose a card that doesn’t require this fee but still reports to credit bureaus. Since every payment is reported to the credit bureau, use this card to build up your credit. Make your payments in full and on time. Orchard Bank MasterCard Classic is a good choice if you plan to pay off your balance each month. The opening fee is a little high compared with other cards, but it reports to all three credit bureaus.